"Is it to late already to prune my tree this season"!? Apple Tree pruning - Wow!! What a beautiful apple tree you have there! Sounds like you both won - you got a great looking, mature apple tree, and he got a dedicated new owner - it's a real win-win. 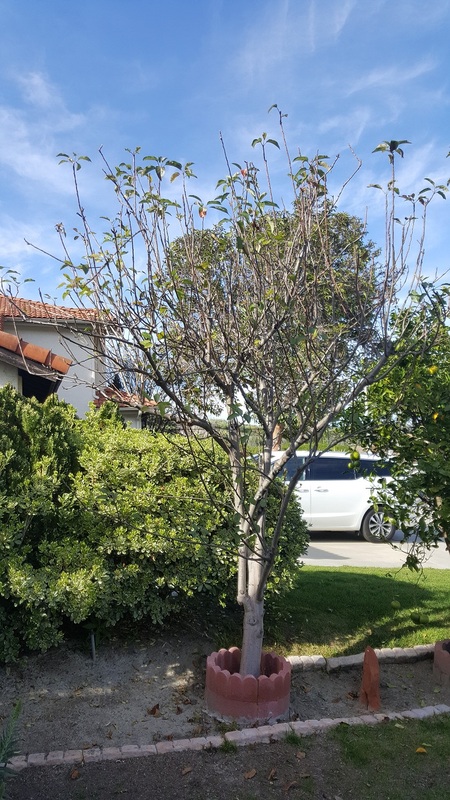 Regarding your question about the right time for apple tree pruning: yes it is a little bit late, although because it's a strong and mature tree it could easily handle being pruned even now. 2. Maintenance - The kind of pruning you want to do now, just basic maintenance becomes difficult when the tree's canopy is so high. 3. Yield - The taller the fruit tree the lower the fruit's quality will be. At such heights its difficult for the tree to channel the required energy all the way to the blossom and the fruit, so it doesn't yield the same results as one would with low hanging fruits. Anja, you can definitely leave the tree as is and nothing bad will happen. He's a tall, healthy good looking guy :). When to prune? If you can't wait and feel like you just have to prune something :-) you can definitely cut at the two green points I marked on the picture. Both of these branches can be removed now. The upper branch is growing directly to the tree's center, and it's a good thing to leave the center of the tree open so air and sunlight can flow through - I'm sure your tree will be happy if you prune those. Where to prune exactly? When pruning an Apple tree, or any fruit tree for that matter, stay as close as you can to the main stem, and keep the cut as straight as possible. Also, from what I can see of the stems thickness, I recommend you use a hand saw. When to prune? Everything you're about to read relates to winter pruning, so wait until next winter and prune just as dormancy ends. When you can see buds begin to swell along the stems, that is the perfect time to prune; especially if you take on the following guidelines. (It is quite a challenge to provide an online guide on pruning a fruit tree, but I'll do my best and I'm sure you'll get the idea quickly. How to prune? If you decide to get your Apple tree pruning project under way now, the picture above will help you along. First, see the two lines marked in the picture - the orange line represent our "building a pruning confidence program". Get the general look and feel, start to prune from here and remember that the stems will still develop new growth up high. That's fine, take it step by step and things will change. After you have removed the stems above the line (and it's not an exact science, it's just a general guideline), take a good look at the tree and decide.... are you ready to move down to the red line? or, do you want to stop, wait and see how your tree grows and develop over the course of the season. You can move to the red line next season. There's no rush, I believe in the step-by-step pruning, it will give you a chance to build your confidence, get re-acquainted with your tree, and gain a better understanding of how you both like things to be. You may laugh at me... but you're building a long term relationship. It takes time. I would advise you to read our deciduous fruit trees page before pruning your apple tree, it will definitely give you some tips and a better general understanding of all deciduous fruit trees. 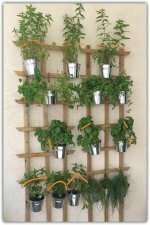 Share this post with your friends, so they too can get in touch with their plants.